I feel like ever since I got home from Ibiza, my life has been a bit of a whirl wind. Christmas has just crept up on me and I am totally not prepared. Like, can I just have another month please? To be fair, I am never really prepared for Christmas, I am usually still buying wrapping paper and sticky tape on Christmas eve. I have only bought one present so far, and even that is not complete. I have bought cards, but still not written any. I feel like my head might genuinely fall off, unbalanced amongst the chaos of this festive time. I do enjoy it though. The experience of giving gifts and the air of happiness this time of year brings. I prefer the small thoughtful gifts, rather than bundles of extravagance. I love the practical presents. Mince pies and novelty reindeer glasses are my jam. I also use this time of year as an excuse to buy lots of little things, that are totally stocking filler material, but I secretly keep them for myself. 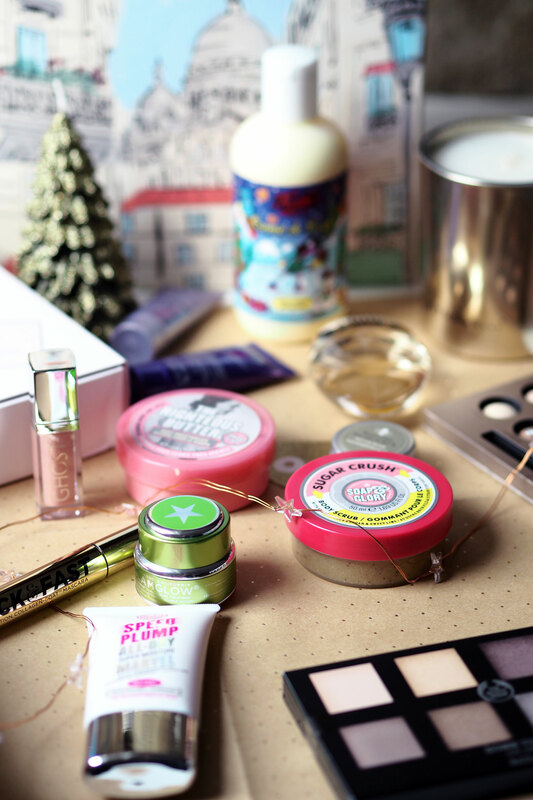 In today’s post I thought I would share a few of the little gifts that I have been collecting, all beauty related obviously, products that will guarantee a smile on your loved one’s face. You cannot go wrong with fragrance or candles, you can never have enough. 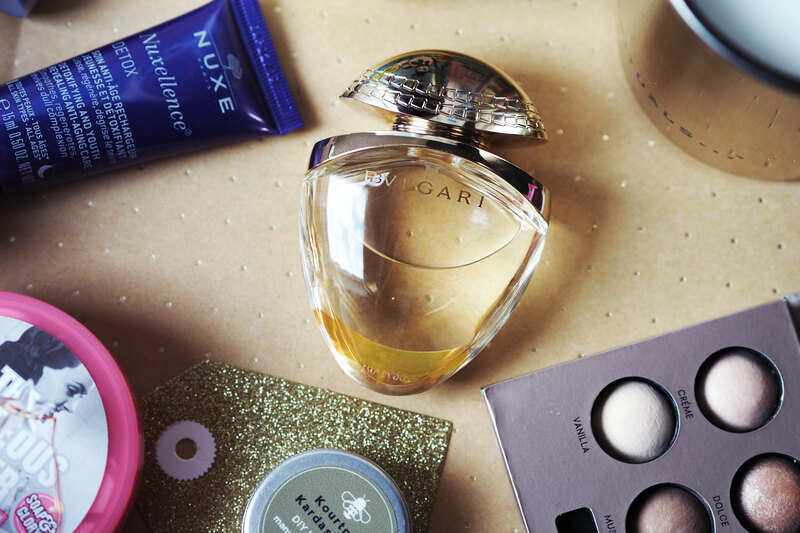 I am a little bit addicted to Bulgari perfumes at the moment, and this cute travel sized Bulgari Goldea fragrance is a fabulous stocking filler. Great for those who travel – it was the reason I bought it, needing a pretty perfume to fit into my hand luggage. As mentioned in my Chatty Catch Up video, I love Rituals for candles, especially the new Rituals of Light Ltd candle – sweet cinnamon and orange – so festive and smells amazing. 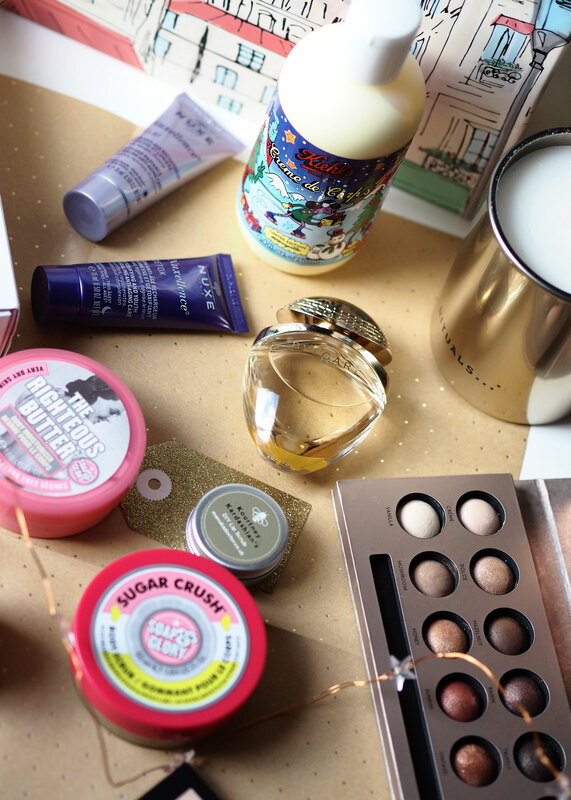 Eyeshadow palettes are also a firm favourite, the two I am currently loving and perfect as a gift are the Laura Geller Delectable Eyeshadow Palettes and The Body Shop Down to Earth Eyeshadow Glow Palette. Each and every year I visit a Kiehl’s store. 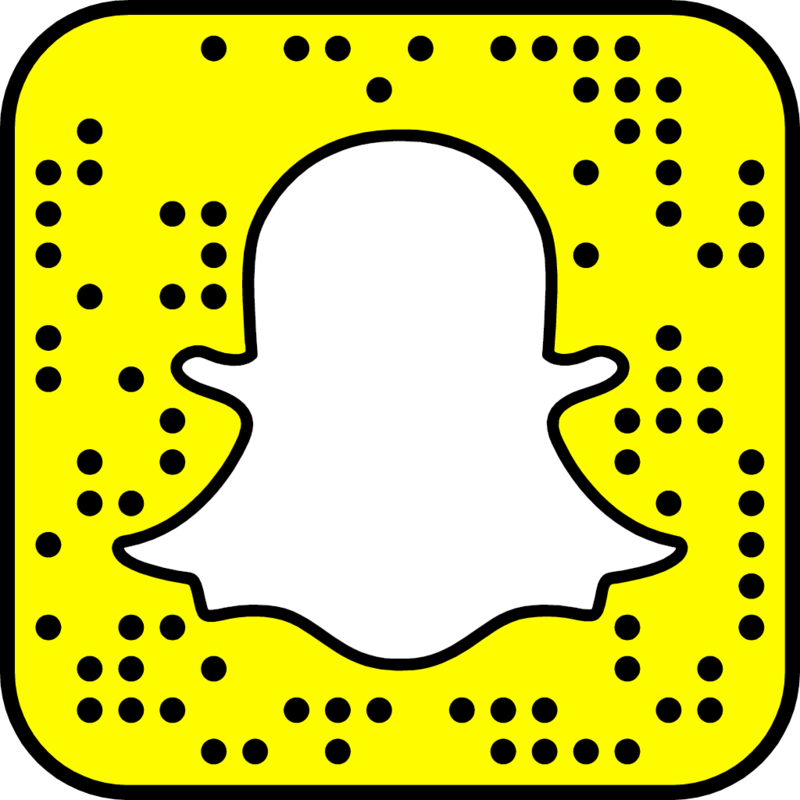 It is a one stop shop when it comes to Christmas beauty heaven, especially if you are struggling to buy something for a guy. Everything from the products, the packaging, the gift wrap and presentation boxes, they just have it spot on. The Men’s Skincare collection is awesome and is a great way to introduce your man to skincare if he shies away from it. It feels a little bit more cooler than Clinique. (I love Clinique, but it is an obvious choice for men’s skincare, in my opinion). This year’s Limited Edition Festive packaging is really cute, and one of the cult products by Kiehl’s is the Creme De Corps Body Moisturiser. 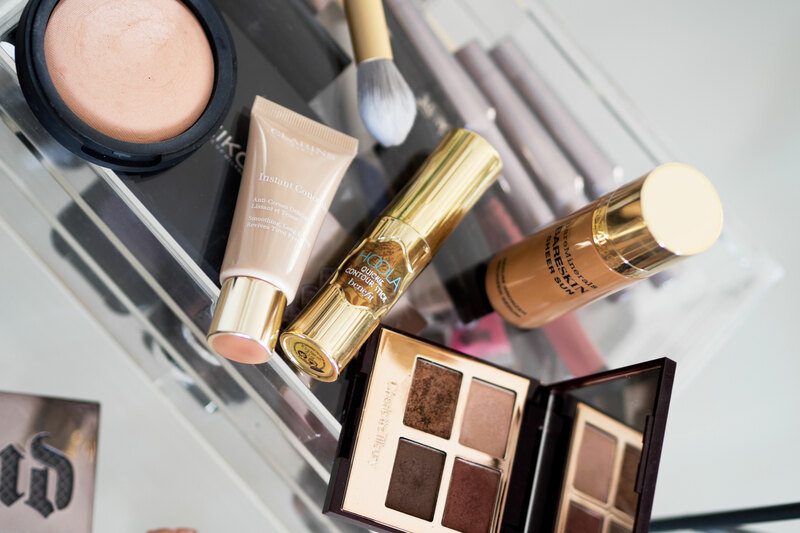 A must-have in your beauty collection. Year on year, the beauty industry ups it’s advent calendar game, and I have received some beautiful ones myself this season. The Nuxe 10 Beauty Treasures Countdown Gift Set has the most beautiful packaging, and for £49 you receive some amazing treats. It is a real great introduction to the brand if you have never tried it before as it includes some of it’s best sellers such as the Nuxe Multi Purpose Dry Oil and their Anti Aging Moisturising Cream. 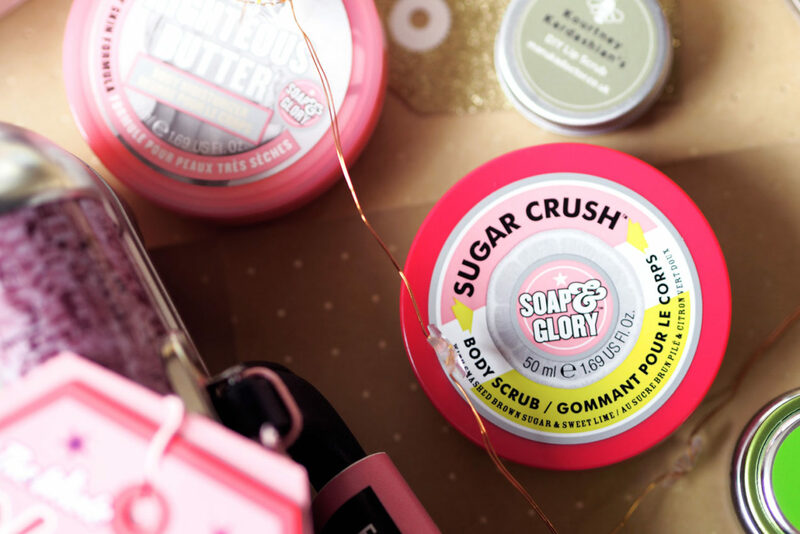 One brand, that just absolutely smash it out of the park at Christmas, is of course, Soap and Glory. Every year the world goes S&G Gift Set mad. If you are struggling to choose a gift set, then I can highly recommend the Soap and Glory The Whole Glam Lot Limited Edition. (It is that ruddy good I have a post coming up to tell you all about it next week). £60 worth of goodies for HALF PRICE at £30, labelled as their Star Gift and expected to sell out FAST. For those of you who want to introduce someone to a luxury skincare favourite but just cannot justify buying a full size version in case they don’t like it, Sephora do great miniatures. 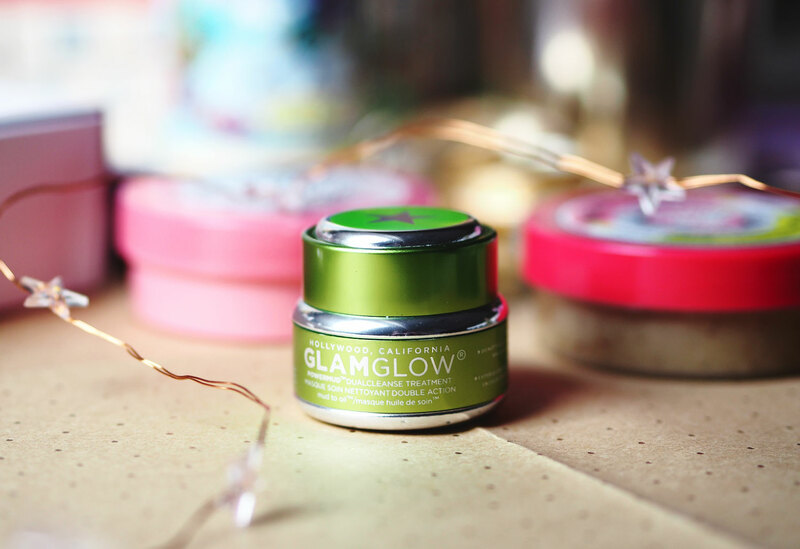 When I was last in the store I picked up a mini GLAM GLOW mask, the full size is quite expensive, but the mini size is not too bad and is a great way of trying something from the brand. The Glam Glow Powermud Dual Cleanse Treatment is one of my skin saviours and is great for winter, when your skin feels muggy and dull. If you like to dabble in DIY Beauty, then head on down to Holland & Barrett and check out the Manuka Doctor range. Kourtney Kardashian loves this brand, and you can use their honey to make a DIY Lip Scrub. Their honey is amazing and I use it as beauty and as part of my diet too – a spoonful of honey a day keeps the doctor away, plus if it is good enough for Winnie the Pooh it is good enough for me. The facial oils I can also highly recommend. So there you go, a few ideas to play around with this Christmas, what is on your own personal Christmas list this year? What have you asked Santa for?